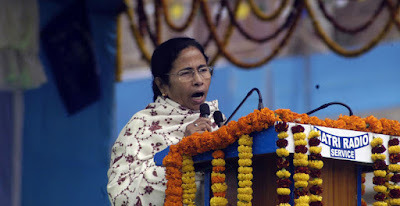 The Bengal government is likely to allot next month fresh funds to the development boards set up by the chief minister for different communities in the Darjeeling hills. Sources said the government had been receiving repeated requests for funds from the development boards. Kalimpong, Darjeeling, Kurseong and Mirik are headed to municipal polls this year. "The boards are more likely to get the funds for carrying out development projects in the hills. This will help the ruling party ahead of the municipal elections in Darjeeling, Mirik, Kalimpong and Kurseong in April. The elections to the GTA (Gorkhaland Territorial Administration) are scheduled for July this year," a government official said. The chief minister has so far formed or announced 15 boards for various communities in the hills. A majority of the boards have already received Rs 5 crore each to carry out development. "By forming the boards, the government has covered almost 60 per cent of the population in the hills. If the boards are flooded with funds again, this will definitely help the ruling party ahead of the polls," the official said. Another official pointed out that a majority of the 15 boards allotted at least Rs 5 crore each earlier were yet to submit proper utilisation certificates to the government. The official said the government should have ideally waited for the certificates before deciding on fresh funds. "This shows the urgency of the government to infuse more funds in the hills. The ruling establishment feels that if development projects can be undertaken bypassing the GTA, the Gorkha Janmukti Morcha could be curbed," the official said. The Morcha-controlled GTA is an autonomous body that is responsible for carrying out development projects in the hills. According to some officials, Trinamul is desperate to make its base stronger in the hills. "The chief minister has been visiting the hills regularly.... She just announced the Kalimpong district. Now, the government is releasing funds for the boards, which the Morcha has always opposed. It is clear that the government has a strategy," a source said. Sources said the ruling party had worked out a two-pronged strategy for the poll season. "If Trinamul can win some of the seats in the four municipalities, it would put the Morcha under pressure in the GTA elections scheduled later," the source said. A minister said once some wards were in Trinamul's hands, the party planned to work harder to win some seats in the GTA polls.